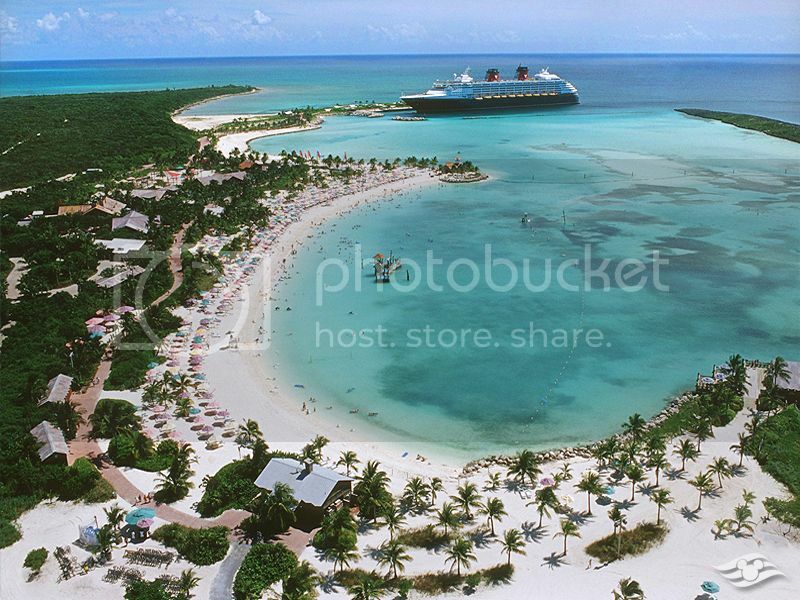 Some news from the Disney Cruise Line today, and more specifically about Castaway Cay. 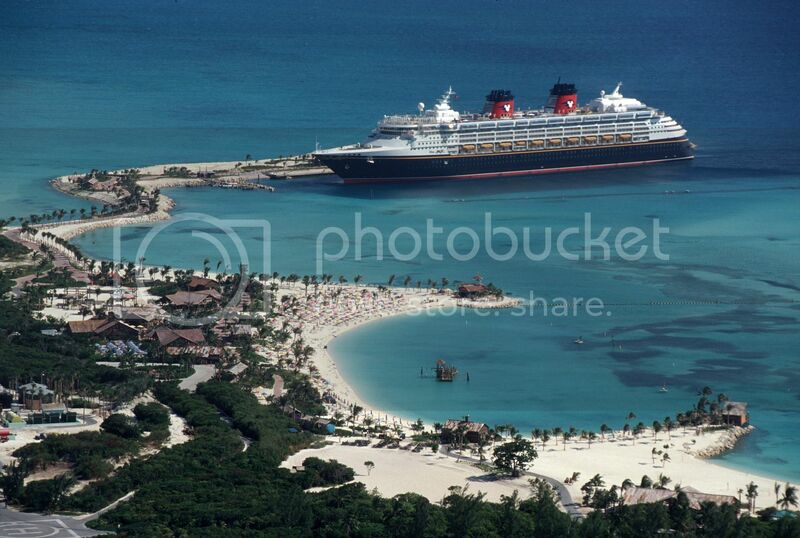 Disney’s private island paradise in the tropical waters of the Bahamas is getting an extra dose of pixie dust. Enhancements will provide guests with more water-based family-fun, additional conveniences and a slice of beachside luxury all designed to complement the idyllic island setting. 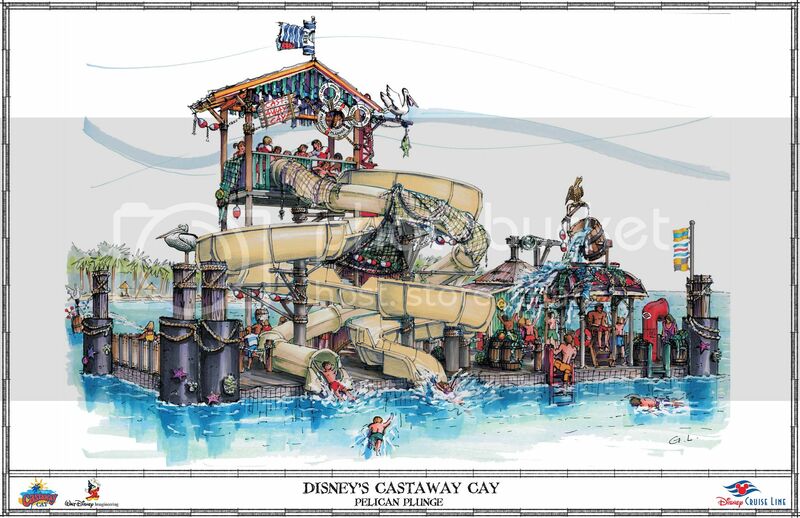 Among the new enhancements, Pelican Plunge: Guests will slide and splash at a new Castaway Cay water feature called Pelican Plunge. The 2,400-square-foot floating platform has two water slides – an enclosed corkscrew slide and a 140-foot-long open slide – that take guests on a twisting ride, ending with a splash into the lagoon. A giant “bucket dump” will soak guests on the platform. 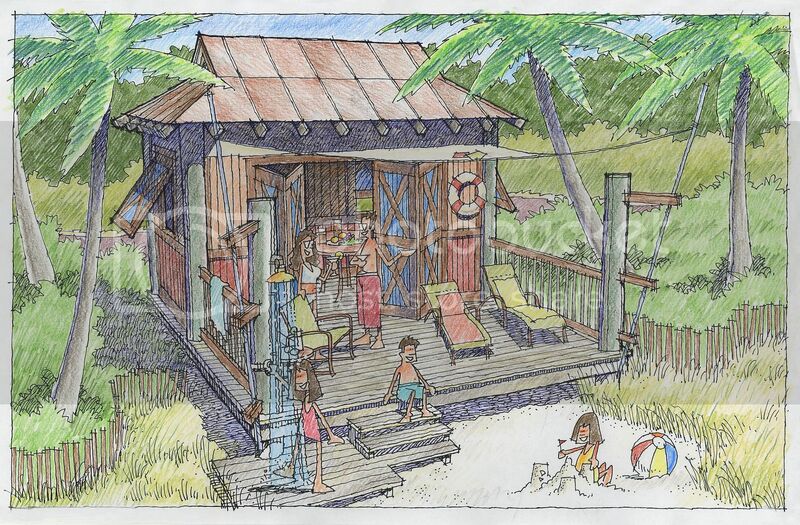 Or the new Private Rental Cabana: Castaway Cay guests will find a little piece of paradise all to themselves will find it with 20 new private rental cabanas. With most located on the family beach and some on the adult-exclusive Serenity Bay Beach, each 325-square foot deluxe cabana is furnished with tables, cushioned chaise lounges, refrigerator, fresh water shower and more for the ultimate upscale beach experience. The video below will tell you more about these enhancements which are scheduled to be complete by summer 2010, in time for special five-night cruises aboard the Disney Wonder with two stops at Castaway Cay, and the Disney Dream cruise ship which starts sailing in early 2011.